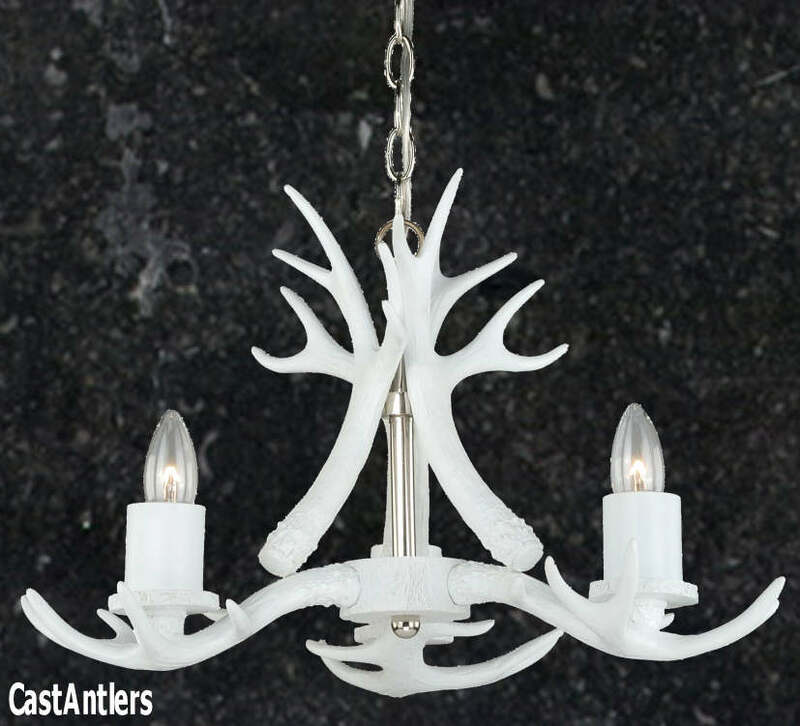 Pure White - This small faux antler chandelier/pendant measures 23" wide and 13" tall, weighs just 8 lbs. Chandelier has 3 candle lights. All wiring is internal. Entire fixture UL listed/approved. They require three candle bulbs (Approved for 60-watt candle bulbs). Chandeliers come with 6' of chain, and 16' of lead wire. Chain color is Polished Nickel. Ceiling plate and mounting hardware included.